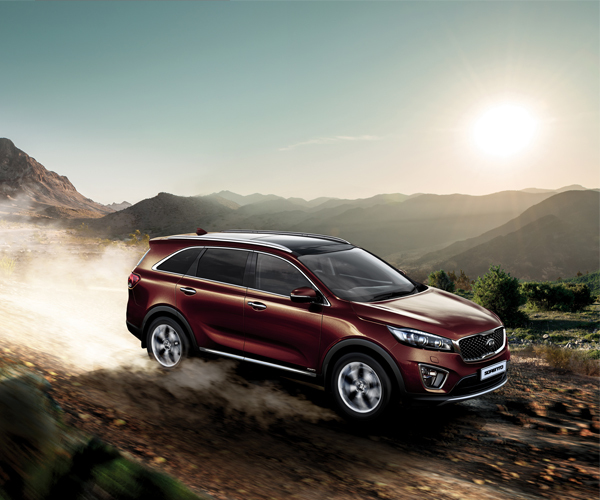 Packed with the latest safety technology, intuitive entertainment systems and connectivity options, and combined with unrivaled space and comfort in all 7 seats the new Kia Sorento has something for everyone. All this plus Kia’s 7 Year Unlimited KM Warranty*, Capped Price Servicing AND for the month of November you can get into a new Kia Sorento with No Repayments and No Deposit until February 2018#. #Interest accrues during the no repayment period (the no repayment period is not interest free), and must be paid after the no repayment period over the subsequent repayments. As a result, the total interest charges payable over the term of a loan with a no repayment period will be higher than equivalent loans without a no repayment period. Only available on Consumer Fixed Rate Loans and Commercial Goods Loans. Offer ends 30 November 2017. Finance to approved applicants (excluding Government, Rental and Large Fleet Buyers). Offer excludes all Stinger models. Credit criteria, fees, charges and terms and conditions apply. Kia Finance is a registered trading name of Kia Motor Company and is operated under licence by St.George Bank – A Division of Westpac Banking Corporation ABN 33 007 457 141 AFSL and Australian Credit Licence 233714. Subject to suitability.